Unique is an understatement when describing these metal adornments which usually falls under the heading of silk, lace, and satin underthings. You know…soft material. 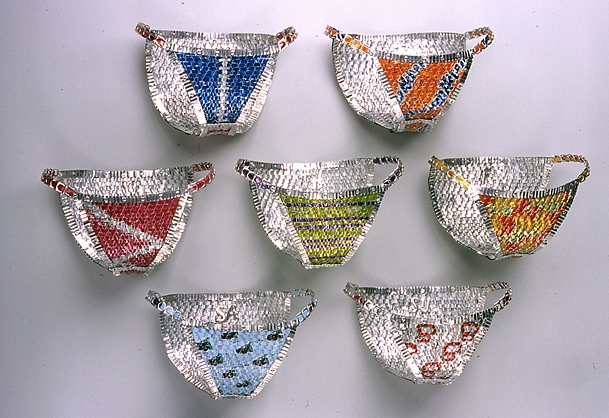 However, Ingrid Goldbloom Blosch goes against that with her lingerie and underthings made from soda cans. Hence, trashy lingerie. This video couldn’t be more on point. Remember the 80′s PSA “This is your brain on drugs?” Well, this is your brain…on television. 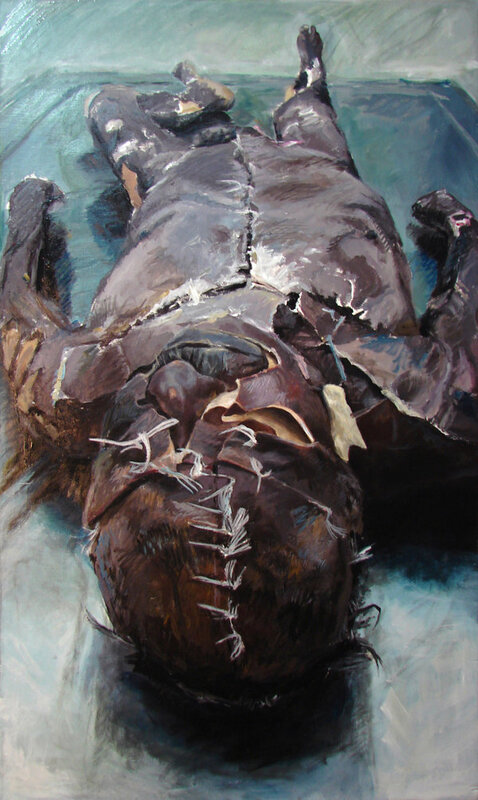 ‘Television Is a Drug’ by Beth Fulton. How much television do YOU watch per week? Strange but interesting music video of WhoMadeWho, song titled ‘Keep Me In My Plane’. More like keep me in my place, for that’s exactly what the video does. If you notice he doesn’t move from the same spot he is in, no matter how the scenery changes around him. WhoMadeWho consists of bassist Tomas Hoffding, singer songwriter/guitarist Jeppe Kjellberg, and drummer Tomas Barford. A perennial favorite (for some) from Terence Trent D’Arby circa 1987…”Sign Your Name’. Did you know…Following a series of dreams Terence Trent D’Arby legally changed his name to Sananda Maitreya on October 4, 2001. He proclaimed in an interview that “Terence Trent D’Arby was dead. It was an attempt to reinvent himself artistically and free himself from what he believed to be the oppressive nature of the record business. He has newly released material you can find under his new monker, Sananda Maitreya, here. 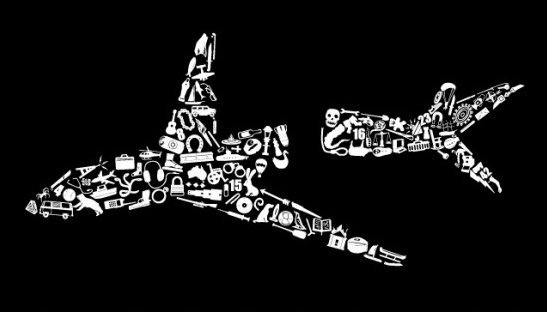 Lost fans will dig this t-shirt showing 108 Objects from Flight 815 by Nathan W. Pyle. Can you name them all? From Threadless for a mere $18 for the t-shirt and $40 for a Hoody. Australian photographer Simon Upton’s futuristic fashion spread for Harper’s Bazaar Singapore (April 2010) magazine featuring Milla Jovovich. Milla could dress up as a man and still look gorgeous.